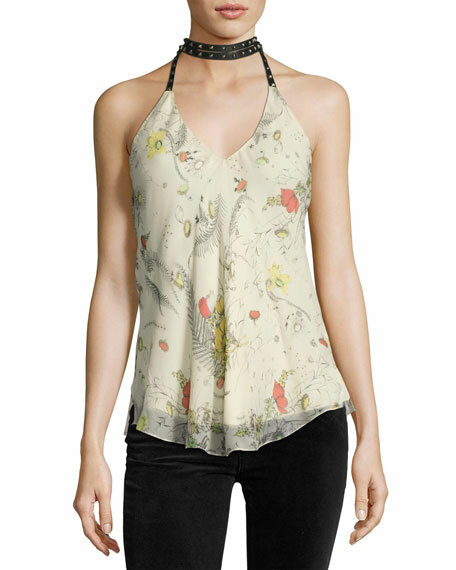 Haute Hippie "Jaded" silk chiffon top in floral-print. Studded faux-leather (polyurethane) ties with tassels wrap around neck as choker collar. For in-store inquiries, use sku #2194810. 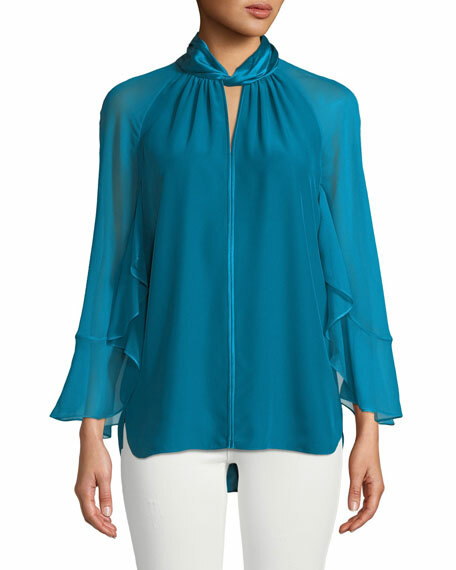 Elie Tahari "Adrianna" blouse. Twisted halter collar. Buttoned keyhole behind neck. Sheer, draped three-quarter sleeves. Easy, skimming fit. Curved hem. Silk. Imported. Exclusively ours. 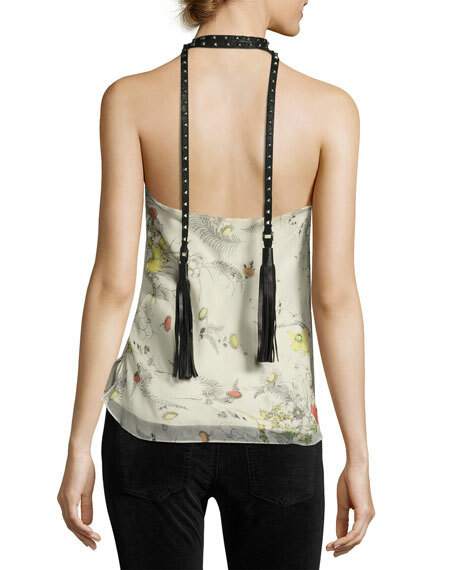 Jason Wu Collection fluid tank top in crepe back satin. Wrapped halter neckline. Sleeveless; cut-in shoulders. Asymmetric open back. Semi-fitted. Straight hem. Pullover style. Acetate/viscose. Silk lining. Made in USA of imported material.